Breakdown insurance is a great comfort, especially if you drive for long hours or must drive at night or through rush hour traffic. But even with breakdown insurance, mechanical failure or a traffic accident is not much fun at the best of times, and at the worst of times can be extremely scary. Here are some ideas for mechanical failure prevention. 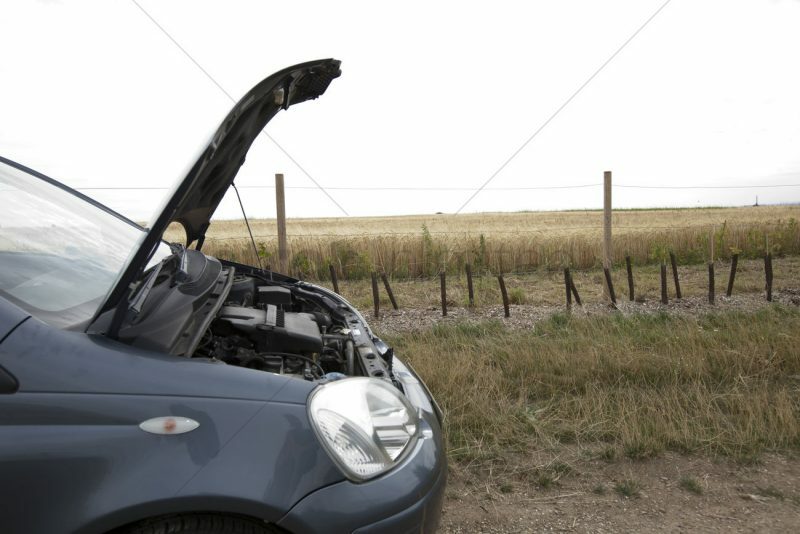 Just driving cautiously can help with preventing mechanical problems. Potholes are major offenders when it comes to causing mechanical problems. Driving fast over bumps, dips, or chipped out chunks of roadway can result in damage to tires, alignment or even to damage to suspension or axles. Another challenge for tires and suspension is driving up on curbs. You might need to do this if you are pulling over for an emergency vehicle or making way for a wide load. Allowing the curb to rub against your tires or having the tires pull up on the curb on one side can cause problems for your vehicle. Slamming on the brakes can cause the pads extra wear and make the disks warp. Riding the brakes or the clutch also adds wear and reduces their life. Avoid sudden braking, if possible. Plan for gentle reduction of speed when approaching stoplights or stop signs and maintain awareness of events happening ahead. Keep a sharp eye out for road signs or emergency lights that indicate a change in normal traffic patterns ahead. Maintain a steady pace while driving on the open road. Your vehicle will, over time, develop a “sweet spot” for your most frequently maintained open road speed. You want that speed level to be close to but not exceeding the prevailing speed limit for your most frequently traveled highway. While your vehicle has indicator lights or gauges on your dash panel, check your oil and coolant levels when you fill up the gas tank. You aren’t likely to need oil or other fluids at every refuel, but it is a good time to take a quick look at vital fluid levels. Oil and coolant are the most frequent suspects when your vehicle is “running rough.” Replenishing them as needed helps keep your vehicle’s motor in good running shape. It might seem obvious but maintain an awareness of your vehicle’s fuel limits. If you have a malfunctioning gas gauge, make it a point to fuel up before entering a long stretch of driving where fueling stations are not likely to be available. Running out of gas is a common cause for assistance callouts. One of the most common call-outs for roadside assistance is to change a tire. While you might be cautious about keeping an eye on the tread, you might not be aware of a hazard represented by a plastic bag or cardboard box. These can sometimes conceal hazards such as broken glass or jagged pieces of metal, or even nails. Some of these things can wreak havoc even on steel-belted radial tires. Speaking of tires, avoid driving on a flat tire. If you feel a tire go out, pull over to the side of the road as soon as possible. The grinding action of a rim turning on a tire, pressing it against the roadway, can cause a great deal of damage to the tire and even to the rim itself. Good driving habits can also save on petrol use, as well as helping to prevent accidents. The payday cash loan was introduced because mainstream financial institutions would not allow non-homeowners to borrow money with bad credit. It is now possible to get a small cash loan with no credit scoring for up to a calendar month from a specialist sub prime lender. These very bad credit loans are normally provided to customers in just 15 to 20 minutes, provided the eligibility criteria are met. Instant approval payday loans are only suitable for short-term borrowing because the absence of a credit check means that the rate of interest is high. They are an adverse credit loan for an emergency situation only, such as paying the rent. They aren’t suitable for consolidating debt. A citizen of the country where the very bad credit loan application is being made. Provide 2 forms of identification, including one source of photo ID. Have a valid checking/bank account. He/she must be in full-time employment and be able to provide satisfactory proof. Bad credit rating loans are an accessible way of borrowing money, but they are expensive. A payday cash loan typically costs $20 to $25 to borrow $100 for a calendar month. The borrower provides a post-dated check to the lender that clears when the individual is paid. Failing to repay the money owed on-time will mean that interest and charges will accrue quickly. It is important to have sufficient disposable income to be able to clear the principal and interest along with the following months expenses. Those who don’t have a job, but are able to provide suitable collateral (gold, jewelry etc) may be able to get a pawn shop loan. However, as with all adverse credit loans, it is important to appreciate that the higher interest rate will leave less money to meet financial obligations the month after. Individuals who are seeking to write-off up to 50% of unsecured debt may wish to consider a debt settlement program. Instant approval payday loans are a great way of handling a short-term financial emergency. This type of very bad credit loan is available with no credit scoring so they are available for individuals with poor credit. However, the major negative is the cost of borrowing money. An adverse credit loan from a payday lender will leave the borrower with considerably less money to cover expenses the month after. Is Student Loan Consolidation Effective for Students? Education is considered to be the most important part of life. Parents around the world put great stress on giving their children best possible education and for this purpose they are willing to go to any length. However, problems are faced by those who wish to get good education but do not have enough finances. The fact is that you do not only need cash for your tuition fees rather you need money for lodging, eating, buying books, and other study materials. The only way out of this situation is getting hand on enough cash that would last them through their educational life and this can only be done by getting a loan. Unfortunately, by the time most students complete their education they are so deep in debts of loan lenders that it takes then years to pay off their loans along with the interest rates. Keeping track of these loans and interest rates is a tedious task and difficult to manage but students can save themselves lots of trouble by opting for Student Loan Consolidation. This loan allows the students to combine all their loans and their elements into one single loan. Thus they do not need to pay different lenders instead they need to pay only one lender who will manage the payment to different lenders on your behalf. This further reduces the risk of debt default for the borrower. Many students also use this system to improve their credit rating which can prove to be beneficial in many regards. You can easily get student loan consolidation from any lending agency. There are numerous packages offered by these lending agencies giving you the freedom to choose a student loan consolidation package that best suits your need. Another advantage of this consolidation is that it helps you in managing your interest rates in much better way. Interest rates have great financial impact on anyone and even a small percentage of interest rates make up a large part of the loan that is to be repaid. Therefore when you are looking for the perfect lender agency for your student loan consolidation you might want to consider the interest rates that are offered by different companies. After you have selected the perfect lender company applying for student loan consolidation becomes even easier. All you will have to do is fill a form and submit it to the lender. Most lending companies have also provided these forms online from where you can download and fill them at your leisure. If student loan consolidation is referred to as a way of managing your debts then it is not wrong. This is the perfect way of bringing all your debts and loans in one payment plan. It not only helps you in managing your loan in a better way but also allows you to save a lot on interest rates. This also helps the students in saving as well as lowering the monthly payments that they have to make. You can get these consolidation loans from Federal Family Education Loan and Federal Direct Loan programs. There are many other private agencies and banks that offer their services in this sector as well.